It has been 900 years since the Kardang monastery was established in the foothills of the Himalaya. 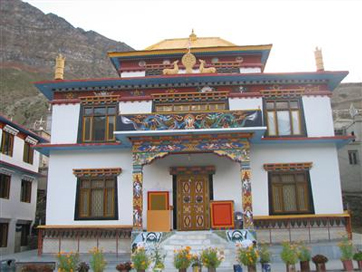 Kardang monastery is one of the oldest possession of Drukpa lineage. 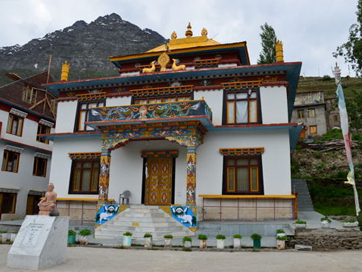 The monastery is historical because it is a part of Kardang village which was once the capital of Lahaul. 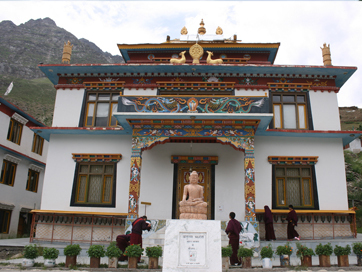 The monastery is located at an elevation 3500 meters above sea level, on the bank of Bhaga River. As per the facts, the monastery was established in the later parts of the 12th century but was completely ruined after a while; later in the 20th century, it was constructed again by 2 lamas- Lama Norbu Rinpoche (died in 1952) and Lama Kunga. The monastery is famous all over the world for its religious significance and alluring architecture. The monastery houses a phenomenal collection of murals, paintings, frescos, Thangka paintings, old weapons and instrumentals like horns, flutes, drums, etc. The monastery is divided into 3 sections: the first room consists of a 4 foot long prayer hall, Chaitya which has preserved the skulls and ashes of Lama Norbu. The ceilings of first section are decorated with minute frescos. 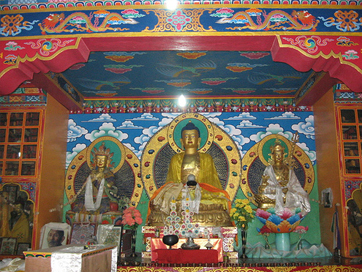 In this section, there are statues of Padmasambhava, Tara (Devi), Tagden Shakyashree, 103 volumes of the Kangyur, and 64 tantra books on various subjects. In the second room, there is an eleven headed statue of Avalokitesvara, Lama M Norbu's used garments and a skull. Third room consists of a six foot high wooden prayer wheel decorated with a brass bell on the top. Kanrdang monastery is an important educational centre as well. The library of Kardang monastery is a vault which contains some of the finest books belonging to the bygone era. The monastery is stocked with Kangyur and Tangyur books of Buddhist scriptures written in Bhoti language; there are strips of paper on which the sacred mantra 'Om Mani Padme Hum' is written one million times. Every year in the months of June and July, the monastery hosts an annual Chaam dance where monks are dressed in dramatic masks and head gears. An important center of Buddhist, this charming monastery can enlighten the tourist with its architecture and breathtaking surroundings!